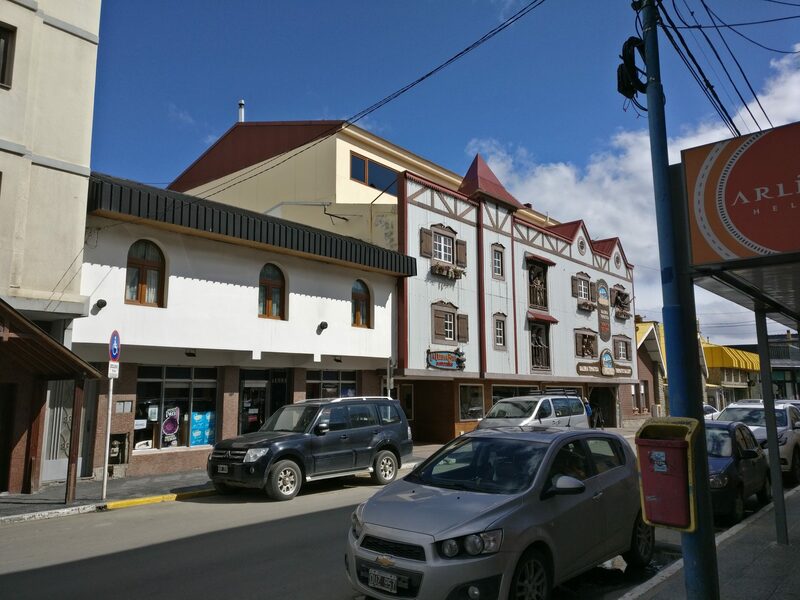 30 hours after I left my home in Copenhagen I arrived at Ushuaia, Argentina. Ushuaia is placed all the way down at the southern tip of Argentina which has earned it the name of “Fin del Mundo”, or “End of The World”. It was a long trip, in fact the longest of my life, but finally I was standing there at the baggage line in the tiny airport hoping dearly that my checked bag had made it too. I had the essentials in my carry-on but there is still a lot of important stuff that I wouldn’t be happy about losing. When I came in to Ushuaia I saw towering snow covered mountains in the horizon and it hit me what a vast distance I had travelled. I had gone from the cold north all the way across the hottest part of the earth and continued around until I hit cold again. Just a little bit longer and I would have gone from pole to pole. I went on thinking about Jules Vernes’ legendary book, Around the World in 80 Days, and how it’s now possible in less than 2. The engineer in me was impressed, the adventurer in me felt lucky. Another thing I noticed was the people. In Buenos Aires it was busy with business men and women in suits, tourists wearing sneakers and ladies wearing high heels. When I touched down in Ushuaia there was none of that. Here, you didn’t see a lot of locals, the main language you heard in the halls was English and the sneakers and high heels had been switched for trekking boots. It was clear that this city was a tourist town and that many adventures and expeditions started here. To the north and west you have Patagonia, a sparsely touched and very remote part of the world. A heaven for bird watchers and trekkers alike. To the south you have the 7th continent and it’s pristine winter wonderland. There’s enough to do here if nature is what you seek! As I walked out of the airport I noticed something very odd. Something very peculiar that I had never seen before; A line for the taxis! I would rather wait 10 minutes for a taxi any day, than being asked if I want a taxi a hundred times before I’m even out of the airport. Yes, that’s right. I long line of about 50 people waiting to get a taxi ride. I have never seen this before. Coming from Central America where there are literally hundreds of both official and un-official taxi drivers waiting for you when you come out this was a refreshing change of pace. I would rather wait 10 minutes for a taxi any day, than being asked if I want a taxi a hundred times before I’m even out of the airport. So I grabbed a taxi, shared it with 3 other tourists and off I went. When I arrived at the hotel I knew that I would fall asleep instantly if I stuck around for too long, so I made a point of just dropping my bags and then hurrying out before getting too comfortable. When I walked around town I noticed something strange again. I felt dizzy and confused. I felt fresh but tired at the same time. I noticed that when I had to do something that involved cognitive activity I was at 25% at most. I also noticed that my balance was somewhat off. I got myself a burger and a Beagle, a local craft beer, walked around for 1½ hour and went back to the hotel. I instantly fell asleep and slept for 11 hours until I woke up next morning at 7am. And with that my first day in Argentina was over. Although I’ve travelled more than most I’m happy that I can still have new experiences and new feelings. There is always something more to do and something more to see. This is also the first time in South America and soon I’ll be on Antarctica. That’s 2 continents I’ve never been to before on the same trip and within 2 days.